As Montana’s trail running non-profit, Montana Trail Crew is dedicated to celebrating Montana trail running, Montana trail runners, and the spectacular places where we run. The Rut presents an opportunity unlike any other to do just that. A year ago we rolled out our first race preview when we told you about a brand new ultramarathon at Big Sky that promised to be unlike anything we’ve seen in the Treasure State. “Clearly,” we claimed then, “the Mikes go big.” Indeed, here we are one year later and the Runners Edge race directors Mike Foote and Mike Wolfe have managed to not only grow the event—500 runners per race instead of 200 and a Vertical K, in addition to the 50K and 12K—they’ve even found a way to make the course tougher by cutting a new trail on the crest of the formidable Headwaters Ridge where passage is enabled only by a via ferrata line. 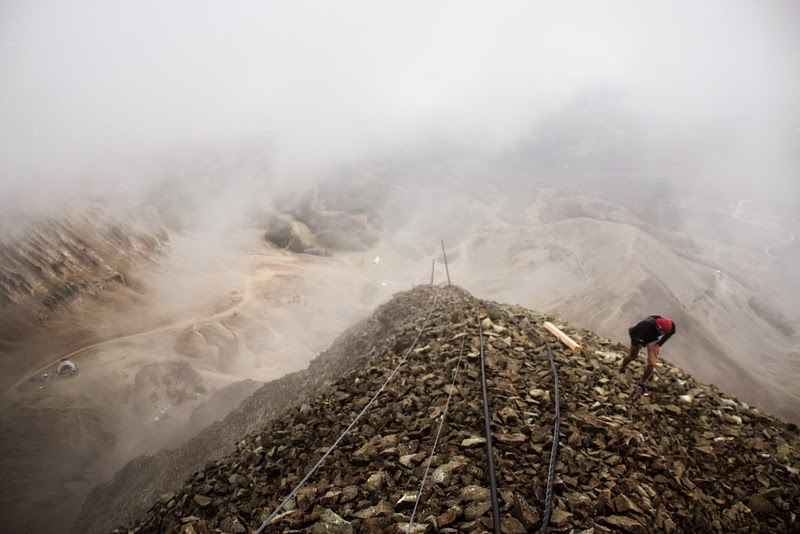 The new addition treats runners to 2,000 vertical feet beyond last year’s course and includes the most challenging terrain of the entire race. Now that’s big. Given the nature of the beast, it’s pretty remarkable that over 1000 athletes are set to take on the challenge The Rut is serving up. 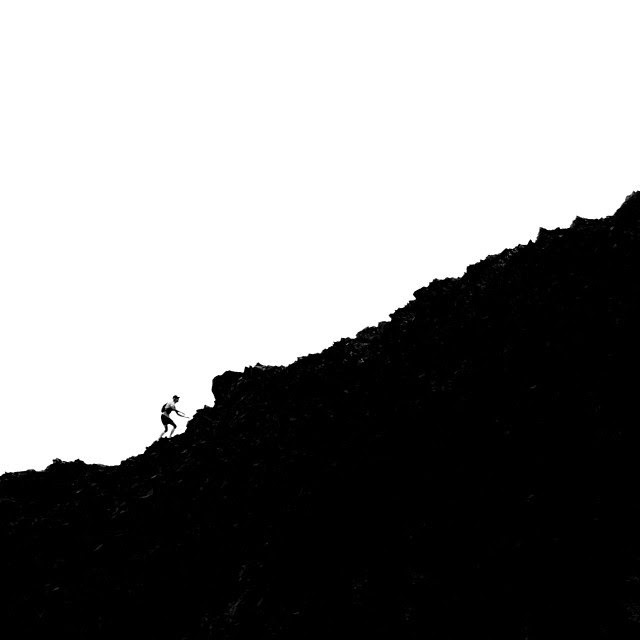 They include some of the very best mountain runners in the world. If endurance athletes are attracted to events that play to their strengths, The Rut is like a bull elk bugling in its harem. The route features a whopping 11,000+ vertical gain on steep, loose, scree-filled ridge lines juxtaposed with dozens of runnable miles on mountain bike trails. The mixture promises a compelling battle up front with a remarkably deep field that ranges from elite marathoners to ski mountaineers. For those athletes coming to Montana for the very first time we offer a hearty Big Sky welcome. We expect that they’ll find the Montana terrain both challenging and spectacular. Summiting Lone Mountain, runners will be mere steps away from the boundary of the Lee Metcalf Wilderness, lands preserved through legislation passed 50 years ago this month that ensures the view you’ll be taking in will remain that way. The elk-filled valleys beyond are also home to wolves, grizzly bears, and other creatures that are components of the Greater Yellowstone, the most nearly intact ecosystem in the continental United States. How’s that for cool? But then again, there might not be too much time for standing around and soaking up the view. Cool is an understatement, September in the Montana high country will be frigid! But in this game of contrasts, the running action will be hotter than anywhere on the planet. The Rut is the final of the Skyrunning World Series and it promises to be the most competitive mountain race Montana has ever seen. Spectators are encouraged to come out to watch first hand and cheer us on with a little cowbell. For those who can’t make it, find a comfy spot to check out the live coverage offered this year from ultrarunning’s go-to media outlets irunfar.com and ultrasportslive.tv which are covering the event blow by blow. No cowbell required. In true race preview tradition, here are some of the top athletes to watch broken down by visitors and the home team and scattered in somewhat random order. If we missed you, crush it and we won't forget you! Emilie Forsberg, Sweden... 2012 Skyrunning World Champion, 2013 UROC 100K Champ, 2013 Transvulcania 80K Champ, 2013 Skyrunning Cup World Champion. Ellie Greenwood, Vancouver, BC… 2014 Comrades Marathon Champ, winner of dozens of ultras over all distances and terrain including JFK 50, Western States 100, UROC 100K. Running VK/50K double. Kasie Enman... Huntington, VT... 2nd at 2014 Speedgoat 50K, 2nd at 2012 Pikes Peak Marathon, 2011 World Mountain Running Champ, 2:37 marathon. Morgan Arritola, Ketchum, ID… former U.S. Mountain Running Champ, running VK/50K double. Hillary Allen, Lakewood, CO... 2014 Bighorn 50 Champ, 4th at 2014 Speedgoat, 2014 Cheyenne Mountain 50K Champ. Kristina Pattison, Missoula… Numerous ultramarathon wins in Montana and Idaho, 2014 Pengelly Double Dip Champ. Rhea Black, Missoula… 11th at 2014 Speedgoat 50K, 2nd at 2014 Pengelly Double Dip, running VK/50K double. 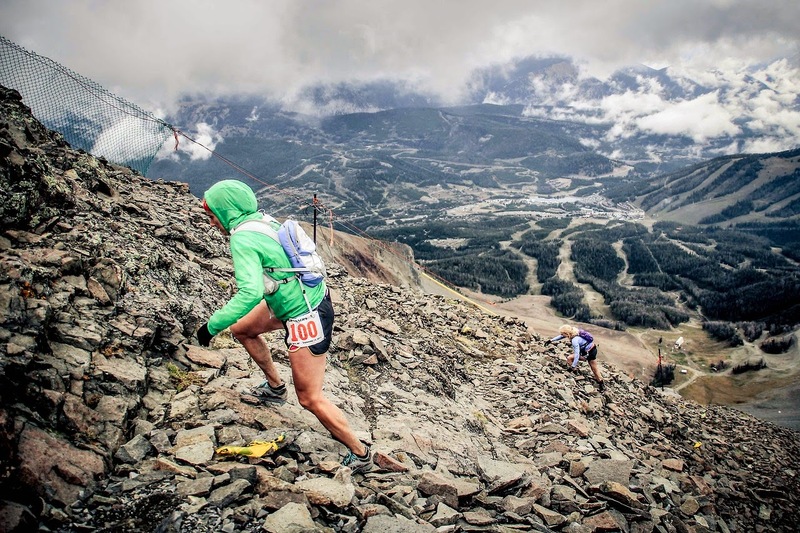 Minde Erickson, Bozeman… 6th at 2013 Rut 50K, several Ridge Run podium finishes. Emily Judd-Lamson, Whitefish…Numerous ultra wins and podium finishes including 2nd at 2014 Scout Mountain 100K, 2013 Tahoe Rim 100 Champ, 3rd at 2013 San Juan Solstice, 2012 Wasatch Front 100 Champ. Anya Wechsler, Missoula… 2nd at 2014 Bighorn 50, 5th at 2013 Rut 50K, 2nd at 2013 DFMI. Killian Jornet, Catalonia (Spain)… 2014 Hard Rock 100 Champion, Denali FKT (2014), 3-time Skyrunner World Champ, 2011 Western States 100 Champ. Competing in both Friday’s VK and Saturday’s 50K. Ricky Gates, Marin Headlands, CA… Multi-time U.S. Mountain Running Team member, former U.S. Mountain Running champ, 2X Mount Washington Road Race Champ. Running VK/50K double. Sage Canaday, Boulder, CO… 2:16 marathoner, 2014 Speedgoat 50K Champ, former Mount Washington Road Race Champ, 2014 Pikes Peak Ascent Champ. Manuel Merillas, Spain... Top finishes at numerous international ultras including 4th at 2013 Cavallas del Vent and 7th at 2014 Transvulcania. Paul Hamilton, Durango, CO… 2013 Rut 50K Champ, 2nd at 2014 Speedgoat 50K. Daniel Kraft, Corvallis, OR… 2013 Bridger Ridge Run Champ, 4th at 2013 North Face 50, 3rd at 2014 Chuckanut 50K. Adam Campbell, Vancouver, BC… 2012 Chuckanut 50k Champ, 3rd at 2014 Hard Rock 100, 2:25 marathon. Running VK/50K double. Alex Nichols, Colorado Springs… 2014 Moab Red Hot 50+ Champ, 3rd at 2014 Speedgoat 50K, 2nd at 2013 Pikes Peak Marathon. Luke Nelson, Pocatello, ID… 3rd at 2013 Rut 50K, 2014 Big Horn 100 Champ, former U.S. Ski Mountaineering Champ. Toru Miyahara, Japan… 2013 Pikes Peak Marathon Champ with numerous wins in Japan. Justin Ricks, Colorado Springs, CO… 2:22 marathon, 2014 Moab Red Hot 33K Champ and CR. Ben Bucklin, Spokane, WA… 3rd at 2014 Big Horn 100, 3:36 trail 50k. Catlow Shipek, Tucson, AZ… 7th at 2014 Speedgoat 50K, numerous ultra wins in Arizona. Jamil Coury, Phoenix, AZ... 2nd at 2014 Telluride Mountain Run, 2nd at 2014 San Diego 100, 2013 Old Pueblo 50 Champ. Tom Goth, Salt Lake City, UT… 10th at 2014 Speedgoat 50K, 2014 U.S. Ski Mountaineering National Champ, Running VK/50K double. J. Marshall Thomson, Crested Butte, CO… Winner of numerous Colorado Mountain Races, including a recent CR at the Power of Four 50K. Greg Vollet, France... 5th at 2012 Pikes Peak Marathon. Galen Burrell, Mill Valley, CA... numerous podium finishes over the past decade, 4th at 2013 Way Too Cool 50K in 3:25. 9th at 2014 Speedgoat 50K. Jason Delaney, Polson… 2:19 marathon, 2014 Pikes Peak Double Champ, 2012 Pikes Peak Ascent Champ, 3rd at 2013 Pikes Peak Marathon, 2013 Missoula Marathon Champ. Matty Shryock… 2nd at 2013 Rut 50K, 1:09 half marathon. Kiefer Hahn, Missoula… 3-time Missoula Marathon Champ, former Pengelly Double Dip Champ and CR. Jimmy Grant, Missoula… 2:29 marathon, 3:35 trail 50k, 2013 Pengelly Double Dip, 11 Miles to Paradise, and Wulfman's Champ. Peder Anderson, Bozeman… 2014 Bridger Ridge Run Champ, 2013 Ridge Run runner-up. Mark Handelman, Missoula… 2:33 marathon, 2013 Sentinel Hill Climb Champ. Jeff Rome, Missoula… 3rd at 2013 Ridge Run, 3rd at 2014 Old Gabe. Running VK/50K double. Brendan Halpin, Whitefish... 2013 Coldwater Rumble 50K Champ (3:57). Nick Triolo, Missoula... 3:49 trail 50K, 3rd at 2011 Waldo 100K. Damian Stoy, Bozeman... 2014 Bighorn 50 Champ. Ben Parsons, Whitefish... Elite ski mountaineer and endurance mountain biker.